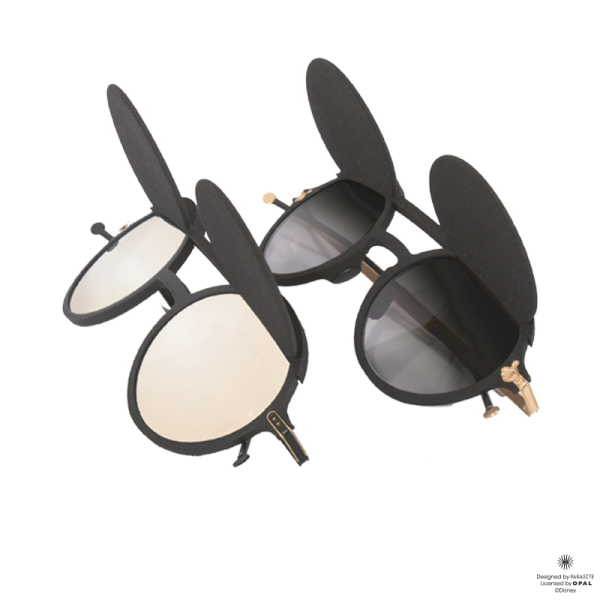 The French eyewear firm Opal and the Parasite design studio are collaborating once again to present two special collector’s boxes featuring Mickey:a box set of sunglasses and a limited-edition mask. Since his creation in 1928, Mickey has captivated and enchanted young and old alike with his infectious enthusiasm and the values he embodies: optimism, innovation and a taste for adventure. He is a unique character: universal, timeless and intergenerational. The French even have a word for the fans of all ages who share Mickey’s values and eagerly follow the iconic mouse’s adventures: “Mickeynnials”. Right through 2018, events around the world will be tracing the well-known mouse’s origins and reliving memories. … And Opal is joining in with a unique new collection. Opal, the French eyewear company that has held commercial rights to the Disney licence since 2010, is delighted to be caught up in the party spirit. It has teamed up with the renowned design studio Parasite to offer two collector’s boxes. 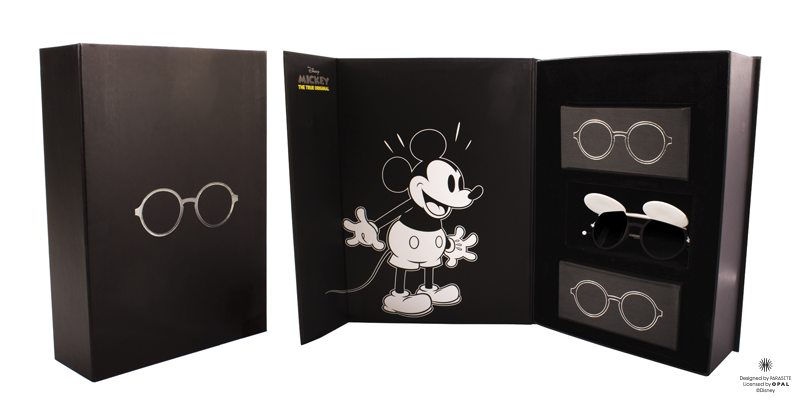 Two luxurious cases reveal models based entirely on circles, in honour of the emblematic mouse, to offer these iconic products to Disney lovers. An exclusive co-production from Opal and Parasite. 2018 – a year of celebrations for the most iconic of mice! One large circle for the head, two smaller circles for the ears: it doesn’t take much to conjure up Mickey. This timeless icon, though he was first dreamed up almost 90 years ago, is still touching us with his good nature and enthusiasm. 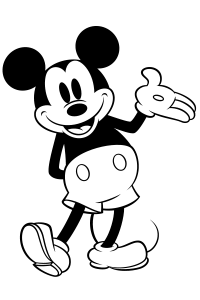 Since his début in Steamboat Willie, the first cartoon film with a soundtrack, Mickey has also been synonymous with innovation. Mickey is the number 1 licence worldwide. We have seen the emergence of “Mickeynnials” – a term for all those whose lives have been marked by Mickey in some way. It has nothing to do with age, it is simply a state of mind. In France, over 5.5 million people share Mickey’s enthusiastic values. wear the glasses on your head, you will see Mickey’s ears appear! 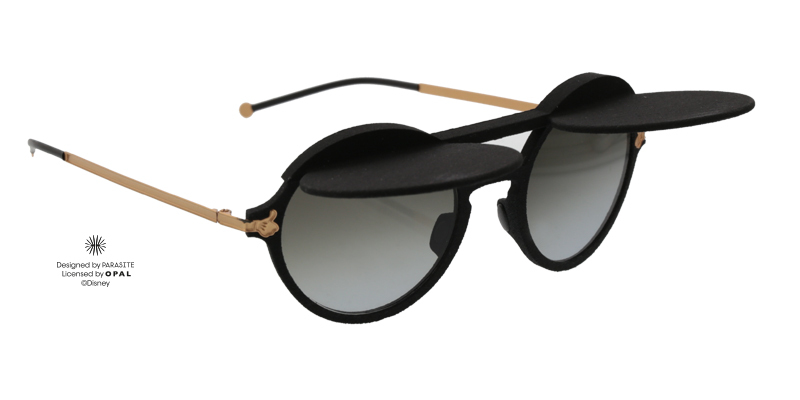 Each pair comes with its own case, designed with two compartments so that the glasses and ears can be slipped into separate pockets. 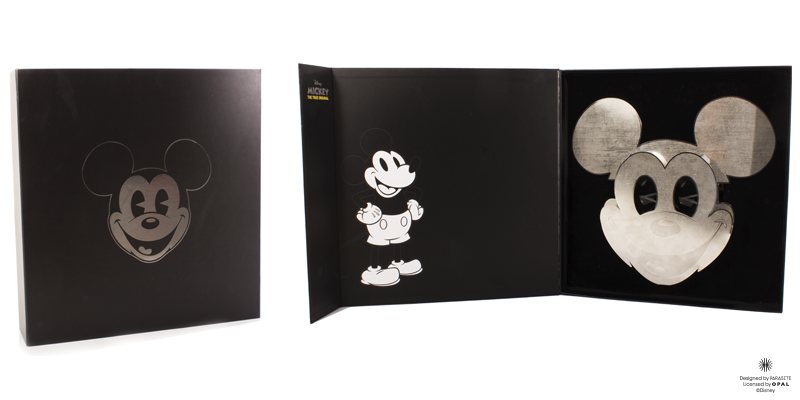 For Mickey’s biggest fans, the presentation box holds all three models in their cases. This iconic project is designed for our times and references the style of social networks and digital filters. The idea was to create a mask in reality which, once in the digital sphere, will prompt the community to question its real existence via social media. This object will exist in both worlds for fans, collectors and followers. 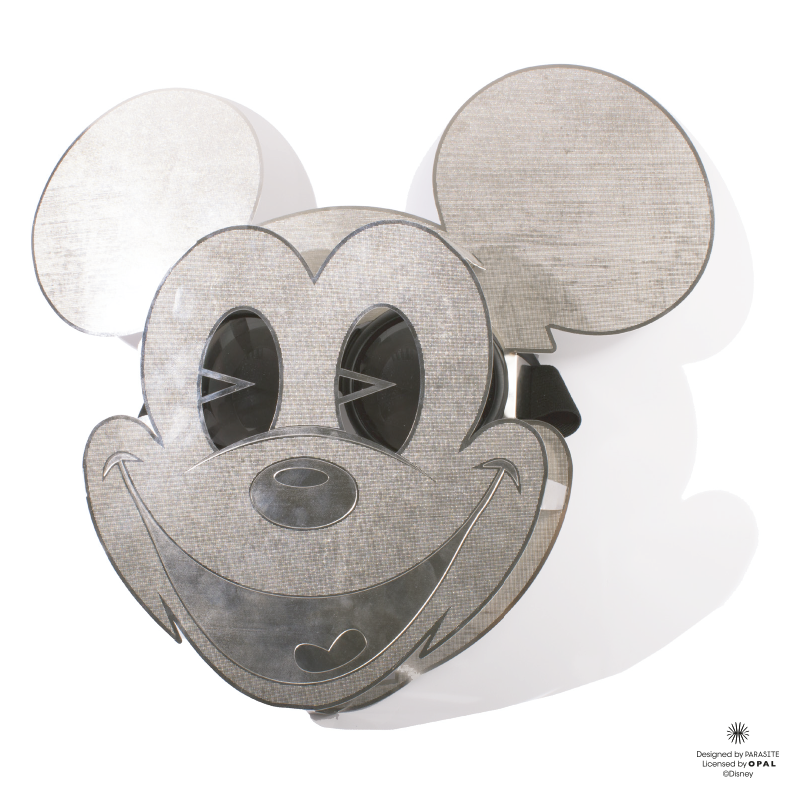 This collector’s mask, produced in a limited edition of just 300, is entirely made of stainless steel. It has been hand-crafted by Christian GIRARD, an award-winning French craftsman (Meilleur Ouvrier de France), in the Jura region. 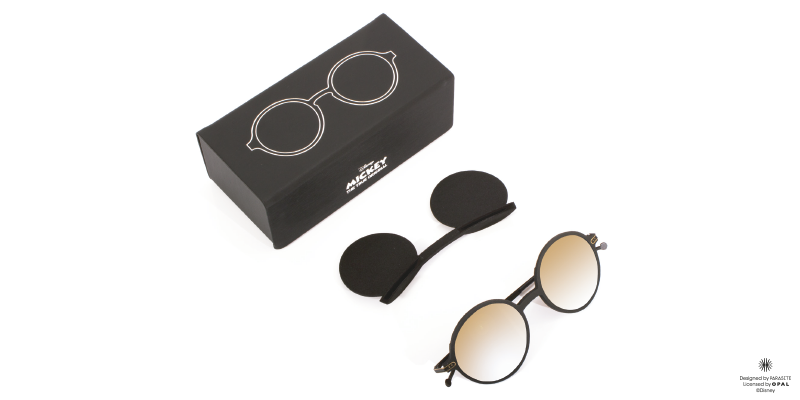 Like the sunglasses, it comes in a special presentation box.